The 1930s witnessed two major events concerning the pace of Turkish music. First, the government prohibited Turkish music from being aired on the radio. However, in the second development, the so-called "alla turca" music experienced a great revival after the prohibition was lifted. Both prohibition and revival were about the influence of contemporary Egyptian popular music in Turkish popular music circles. Egyptian urban music underwent a great transformation during the first three decades of the 20th century. The new music called "baladi music," was a mixture of folkloric and urban elements belonging to Egypt with Western influences. Egyptian musicians had already been playing local instruments like the riqq, duff and darabuka together with instruments taken from the West such as the accordion, saxophone, clarinet and the trumpet. The situation was similar for the tunes and rhythms. Turkish urban music under Egyptian influence is called "arabesque," and is different from the alla turca mainly in tempo and polyphony, as well as the instruments used. Maudlin, lyrical and exaggerated lyrics are common for both. By the way, "Arabesque" is a disputed name. It is a notorious name given by intellectuals who had turned their faces toward the West. On the other hand, the arabesque performers and most of their listeners do not accept the "Arabic" impact, though they are also fond of Arabic singers like Umm Kulthum. Arabesque became a prolific musical genre in the second half of the 1960s, and sociologists began identifying it as a sub-culture in the early 1980s. Arabesque is generally associated with a few famous singers such as Müslüm Gürses, Orhan Gencebay, Ferdi Tayfur and İbrahim Tatlıses. All arabesque singers look like each other to some extent, although they all have their own special sounds and auras. 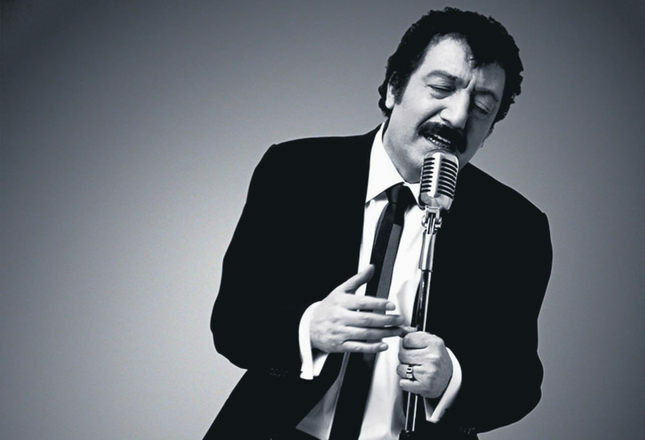 For example, Müslüm Gürses is known as "the Father" by his admirers, which can be compared to the Bruce Springsteen's label as "the Boss" by his fans in New Jersey. Müslüm Gürses is the stage name of Müslüm Akbaş who was born on May 7, 1953 in Fıstıközü village of Halfeti, Şanlıurfa in southeastern Turkey. Müslüm's father Mehmet was a peasant who liked to play the bağlama (Turkish folk lute) and sing local songs. His mother, Emine, was a housewife. Müslüm had a brother and a sister, whose names are Ahmet and Zeyno respectively. Müslüm's family was very poor. They went through a financial crisis when Müslüm was just three years old, and so they decided to move to the wealthy city of Adana in order to make a living for themselves. Müslüm Gürses grew up and attended elementary school in Adana. Nevertheless, his priority was singing. Following in his father's steps, Müslüm used to play the bağlama and sing local folk songs. In an interview, he remembers those years as follows: "I graduated from elementary school, and that was all the school for me! I was fond of singing requiems as I lay on the roof of our house at night. Meanwhile, a friend of mine was a regular at the Halkevi (People's House, a public institute for cultural activities), and I accompanied him once. After a while I became a regular performer at the Çukurova Radio (official radio in Adana)." He was twelve years old when he first sang at a garden café in Adana. Müslüm Gürses would continue singing at garden cafés for decades even after he became a celebrity. People liked to see this very young boy on stage singing folk songs. Thus, he captured an audience in his early years. Then he began to give live performances and recordings at the Çukurova Radio. Meanwhile, he won first prize at a song contest held by the garden café where he was working. The owners of the café asked him to change his surname. The year was 1967 when he first performed under the name "Müslüm Gürses." He was very active in the years 1967 and 1968. He sang live at the Çukurova Radio every Saturday for a while. In 1968, he recorded his first LP. This was a small record including two folk songs published by the Ömür Record Company in Adana. He would make a couple of LPs with the same company in the following years. Müslüm Gürses went Istanbul to make a second record in 1969. The outcome was a total hit. The LP he made with Palandöken Record Company sold more than 300 thousand copies. Müslüm Gürses was born as the new star of popular folk music at the tender age of 16. Gürses never took a break from singing at taverns, pubs, cafés, concert halls, and making records. In contrast, he was always quite silent off stage. He seemed to have a limited number of words to say when he was not singing. In the early 1970s, he abandoned traditional folk songs and began singing real arabesque. These were new-brand songs with a melancholic mood and bitter lyrics. For instance, one of his hits is called "Ben insan değil miyim?" (Am I not a human-being? ), which carries a rebellious attitude against the Creator and Fate. Another song is named "İtirazım var" (Objection), which reflects a complete discontent with anything in life and being. Some observers may find a bitter existentialism in Müslüm's 1971-1972 songs. "Ya Rab al canımı" is also another example, meaning "O God take my life." Müslüm Gürses's silence was probably because of deep tragedies he experienced First, his father murdered his mother in 1977. He refused to visit his father in prison and even after he was released. The father and son never met before the father's funeral, which Müslüm Gürses attended and accepted condolences from family and friends. Müslüm sent money to his father on a regular basis, although he never forgave or talked to him. Second, he was involved in a fatal accident as he was travelling to Istanbul to make another record. His driver was killed, and Müslüm Gürses was presumed dead and was put in the morgue. His brainpan was severely injured. After surgery he lost his olfactory perception completely and auditory sense partly. But the sun shines after the storm. After those dark years, Müslüm Gürses found relief in life. He began to make movies as the leading actor. He was also making concert tours all around Turkey and in European countries such as Germany, where he had numerous fans among the Turkish community. He also met Muhterem Nur on a tour and after a while, the two married. This was like a divine gift for the wounded singer. Muhterem Nur was the spiritual healer of Müslüm Gürses. His fans do not use his full name. Rather they call him "Father," "Father Müslüm" or just "Müslüm." In the 1990s, a special fan-base was formed around Müslüm Gürses. These were young males coming from the suburbs. Besides, they had a psychedelic attitude toward the Müslüm aura. They even cut themselves with razor blades at his concerts, though Müslüm Gürses himself never encouraged or supported such acts. However, the passionate audience at Müslüm Gürses's concerts attracted much attention from the mass media and he became a phenomenon. Some reporters used to call his fans the "Müslümists." Additionally, the Müslüm Gürses phenomenon and music were analyzed in several doctoral theses. Gürses was not a self-directed or arrogant celebrity. He was always open to share with others and never refused any offer involving him as a singer. He made covers for popular songs from other genres. In the 2000s, he had already become a pop-culture icon in an urban and modern sense. His newer songs were sentimental like before, but the gloomy side was gone. Old-school Müslüm fans were divided, as some liked his newer style too, while others accused him of becoming a sell-out. Whatever the comments made by fans or intellectuals, it must be accepted that his soft, deep and lyrical voice is familiar to all of us. He is not only a major popular singer of the modern age; he also is a part of our soul as a nation. Müslüm Gürses had a by-pass operation on Nov. 15, 2012 and was put into intensive care due to heart and lung failure. After four-months of struggling, the beloved singer passed away on March 3, 2013. His funeral was like a panorama of Turkey, including officials from the government and political parties, civil society and media members, writers and singers, and fans from all over the world.